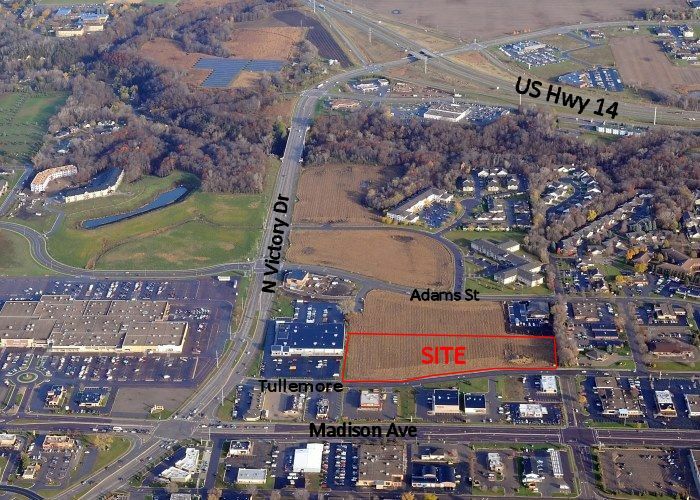 FOR SALE: Larger tract of land with subdividing potential -- one block north of Madison Avenue. One of last tracts remaining to be developed in the heart of Mankato's retail sector. NOTE: ADDRESS IS FOR MAPPING PURPOSES ONLY -- NOT OFFICIAL ASSIGNED ADDRESS.